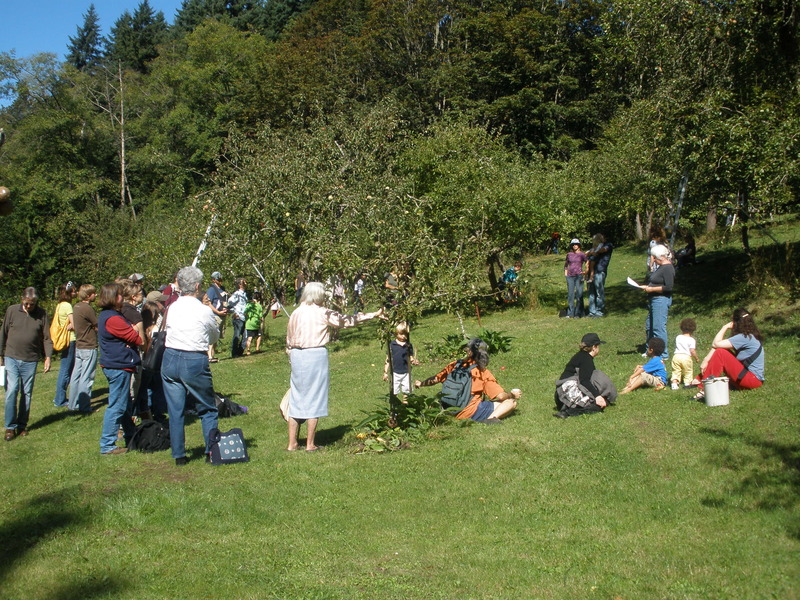 Friends of Piper’s Orchard, City Fruit, and Seattle Tree Fruit Society held the 4th annual Festival of Fruit on Saturday, September 18th, from 10:00am – 2:00pm. 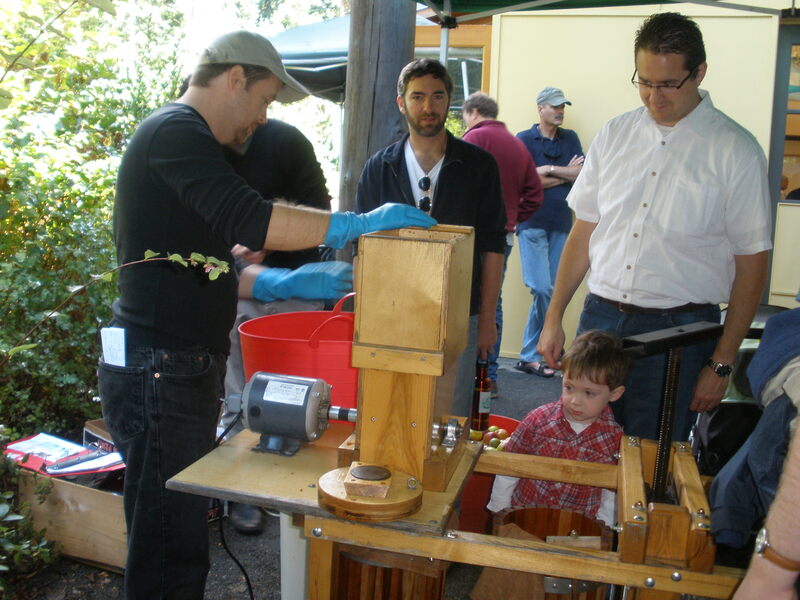 It was a big success, with great pies, fresh-pressed cider, information, visitors, and cooperating weather. 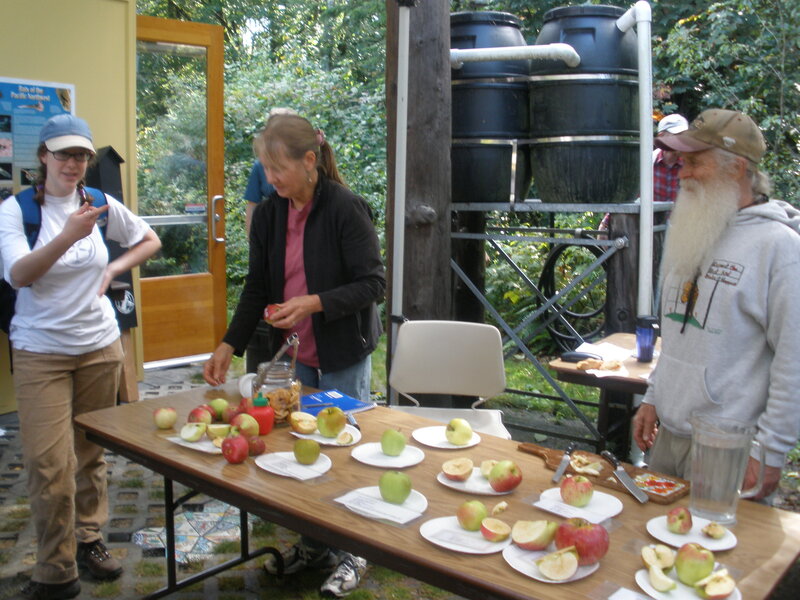 The program started with Dr. Bob Norton (a reknowned western Washington apple expert) giving a talk on making hard (and soft) apple cider. 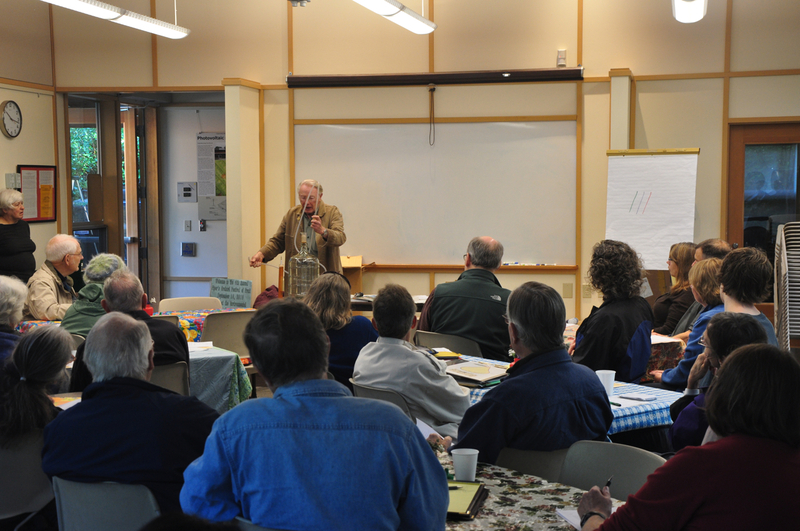 Dr. Bob Norton discusses making cider. 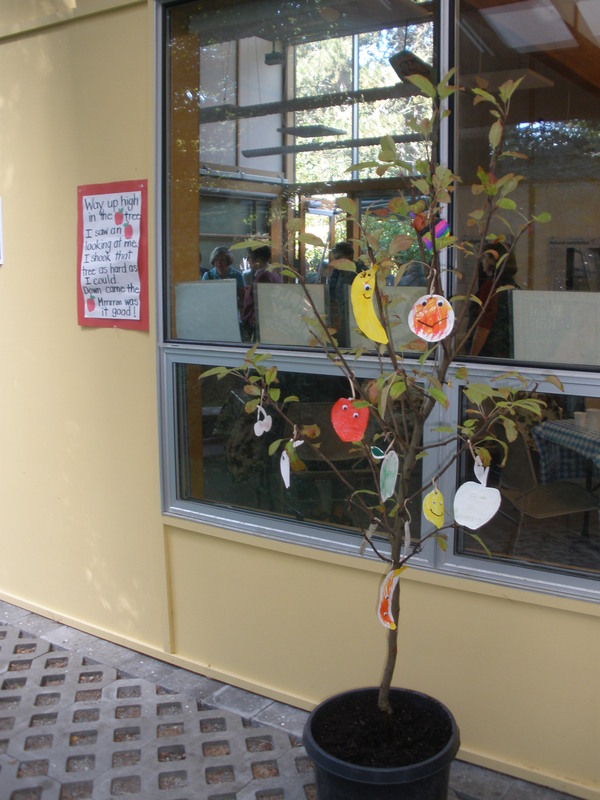 Meanwhile, apple tasting and cider pressing were going on outside. 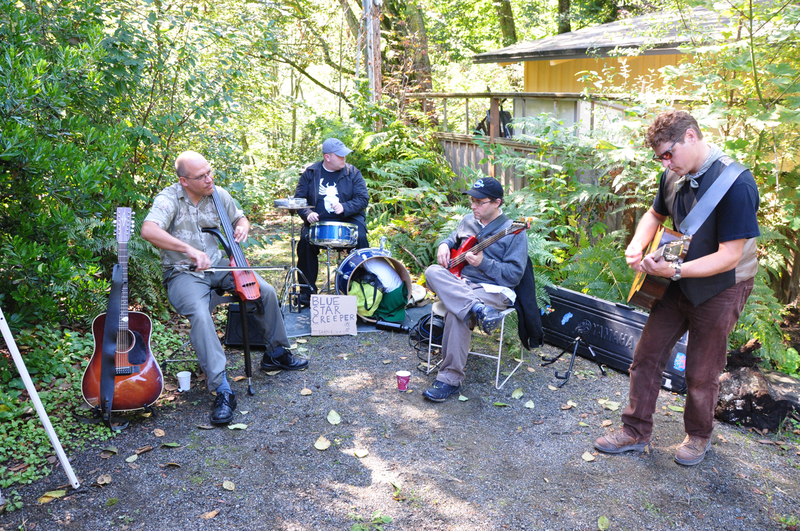 We also enjoyed listening to Blue Star Creeper. 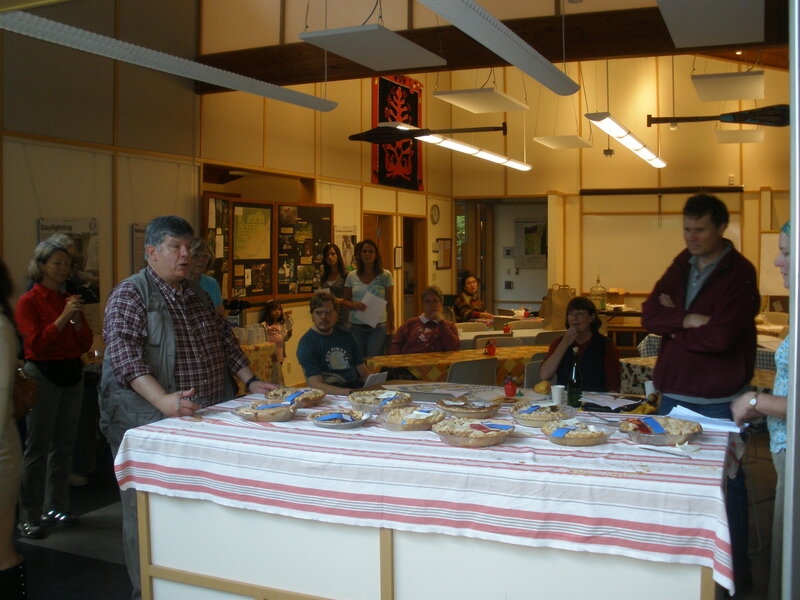 Following Dr. Norton’s talk, the pie judging started, and we were introduced to Ken Workman, who is a descendant of both Jessie Hiatt (an Iowan who was the originator of the Hawkeye apple, renamed Delicious) and Chief Seattle. Next, it was time to announce the results of the pie judging contest. The jury awarded all pies a ribbon, and selected 3 favorites. People lined up to get their pick from Tillie’s Cafe. 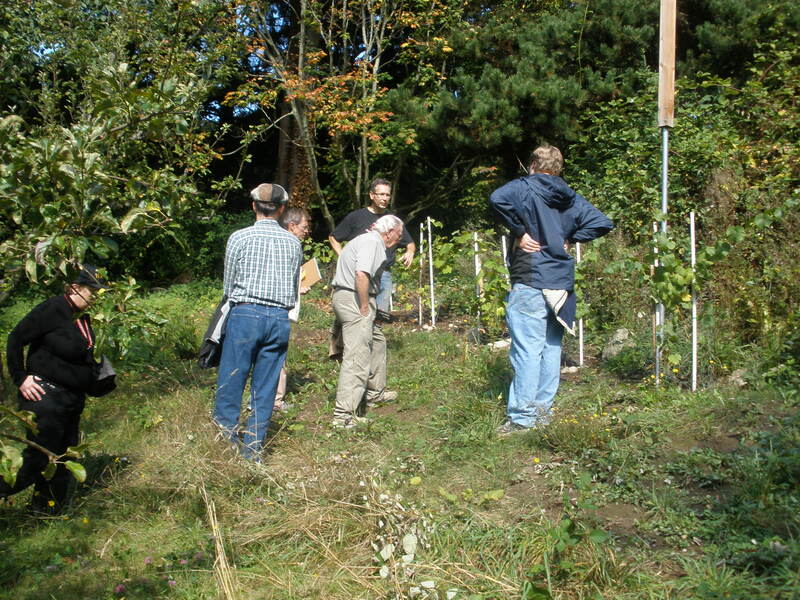 After all the pie was gone, people headed up to the orchard to hear presentations about Piper family and orchard history, viticulture and the heirloom grapes planted at the orchard, organic pest management, compost tea at the orchard, and permaculture at the orchard. 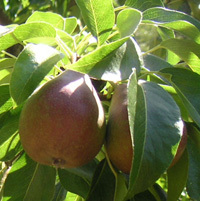 Fran Clifton shares Piper family and orchard history. 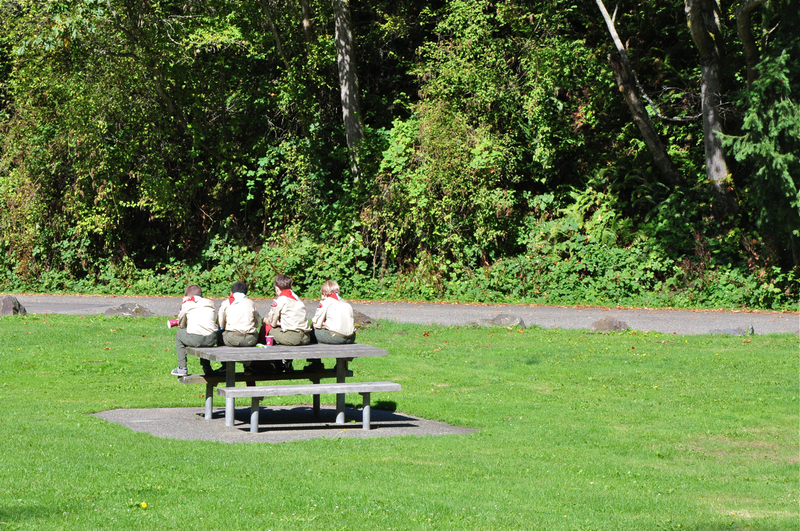 We were fortunate to have a group of Boy Scouts help with parking and directions. 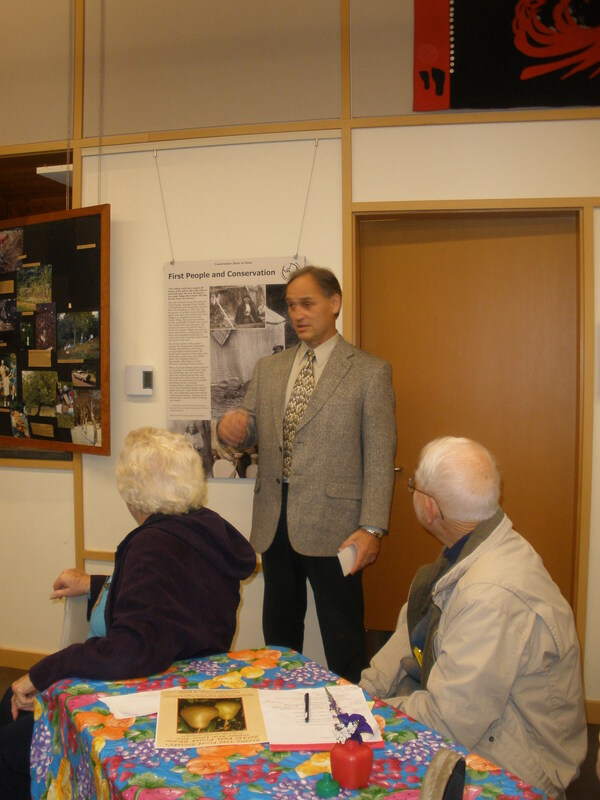 Following was the day’s program.